The Kwara State University, KWASU Pre-Admission Screening Exercise and Registration Guidelines for UTME and Direct Entry Students for the 2018/2019 Academic Session. Please note that Online registration starts from Thursday, 26th April, 2018. The Closing date for online registration has been extended to Wednesday, 16th May, 2018. 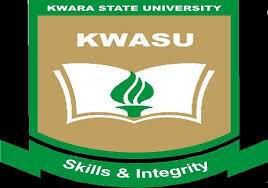 Those interested in Admission into Kwara State University, Malete (KWASU) but have not made it their Choice. All candidates must have five (5) o’ level credits in relevant subjects at not more than two (2) sittings. Candidates awaiting O’ level results can also apply but they will not be considered for admission until their results are available. Visit http://myportal.kwasu.edu.ng/applicant/register, click “Create account” button.